Hell O'Kitty Sauce Pan? But of Course. Yet another anachronistic Hell O’Kitty product. 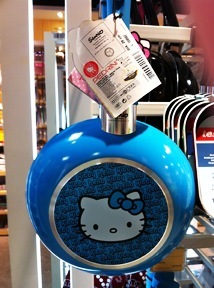 Why would you spend more (a lot more, as it turns out) for a sauce pan just because it has her ubiquitous likeness? Ah but that question can be asked of almost every single one of the 13,000+ other licensed items. Thirteen thousand.